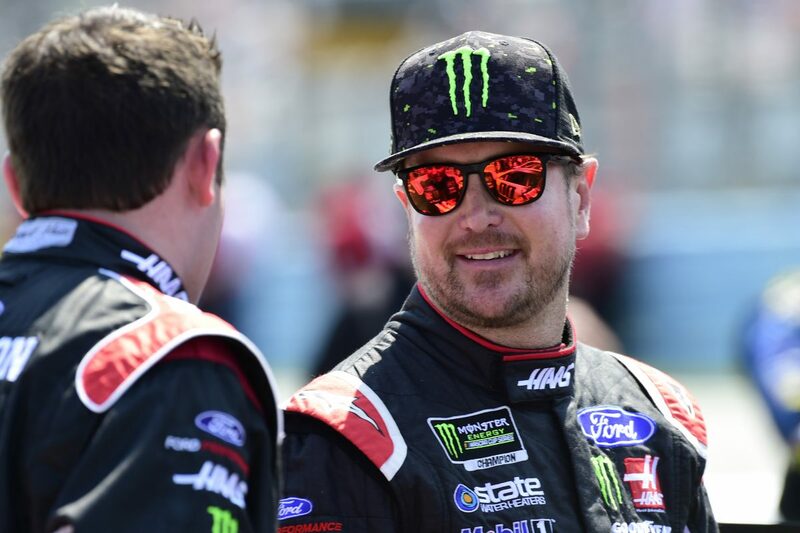 Kurt Busch endured heartbreak Sunday at ISM Raceway near Phoenix when he was eliminated from the Monster Energy NASCAR Cup Series playoffs after being involved in a multi-car accident late in the race, which caused him to finish 32nd. As a result, Busch, driver of the No. 41 Haas Automation/Monster Energy Ford Fusion, won’t have a shot at the Cup Series championship in this week’s season-ending Ford EcoBoost 400 at Homestead-Miami Speedway. But he can still win the race and end what has been a magical season. In Olympic hockey, there is a bronze medal game. The “consolation game” is played between two teams that lost their semifinal games against the teams going for the gold medal. Until 1981, the NCAA men’s basketball tournament featured the “third-place game” – who can forget Ray Meyer and the DePaul Blue Demons edging the University of Pennsylvania Quakers coached by Bob Weinhauer in 1979 in a 96-93 thriller? Busch has two poles, one win, four top-five finishes and six top-10s at Homestead. Additionally, the 40-year-old driver has led 97 laps, has an average starting position of 13.5, an average finish of 18.4, and has completed 89.2 percent (4,054 of 4,545) of the laps he’s contested there. He’s also had a remarkable 2018 season. In August at Bristol (Tenn.) Motor Speedway, he scored his 30th career win and his sixth at “Thunder Valley.” Busch has won five poles this season, his most since he scored six in 2006. He became just the 21st driver to lead 9,000 career laps and is now just 223 laps behind Buddy Baker for 19th on the all-time list. Busch has 21 top-10 finishes this season and if he scores another one this week at Homestead, it will be a career high for him. He had 21 in 2004, 2009, 2015 and 2016. And a top-10 finish might put Busch fifth in points, which would be his highest finish in the standings since 2009. After 35 points-paying races and two exhibitions, it’s finally time for the finale. And, as always, Busch hopes to be in victory lane. Talk about racing at Homestead-Miami Speedway. What’s it like for you, as a driver, to have seen Homestead change so much over the years? Talk a little bit about the race at Homestead from a fan’s perspective.